We’ve corrected a problem on the property reports, Property Detailed Views. You can now access these statistics for every property. We’ve corrected a problem where you couldn’t close an open referral sent to you as ‘successful’. This happened on some user accounts.We are currently busy with upgrades on the referral system which will be rolled out over the course of the next few weeks. Watch this blog for updates.about the referral system: the referral system allows buyer and seller referrals to be sent between offices in an organisation and is available not multi-office / national groups. Free Agent Profile sites now available. Entegral recently launched a new product called SEO Office profile websites. The setup and hosting fee is on us we only required you to pay the yearly domain renewal fee for your profile site through Entegral. 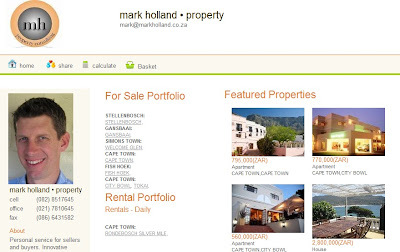 We are now pleased to announce that the Agent SEO profile website offering is also available. The website will feature your listings only. Any available domain can be linked to your profile, displaying only the agents listings instead of that of the whole office. An easy solution if you are looking for a cost effective way to advertise yourself and your brand online. To register your own domain and have a profile website set up click here (note: you must be an OMS license holder or make use of our GRID import interface) Register my doman and website.